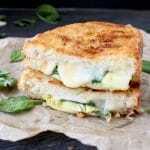 The Ultimate Italian Grilled Cheese: Arugula Chicken Panini Recipe ! 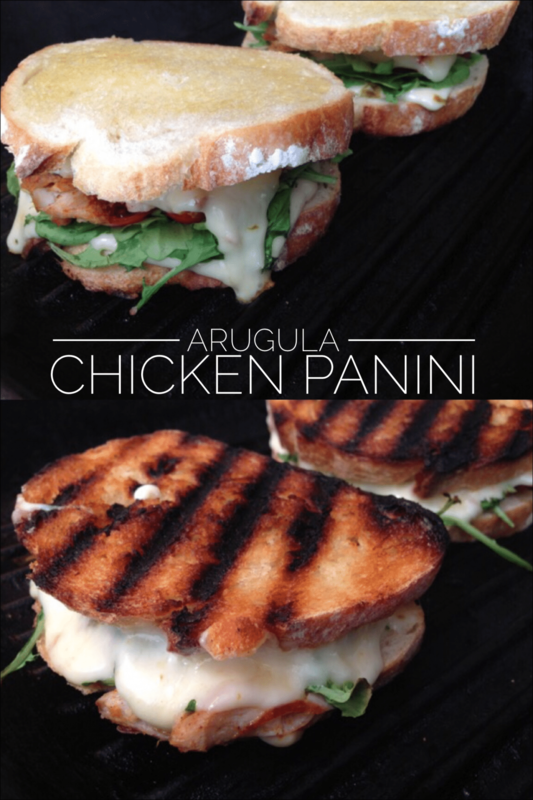 I still crisp them up for the Batman, fall, winter, spring, summer; any season is a great season for my arugula chicken panini recipe. But especially fall, when you have a steaming bowl of this roasted tomato soup in front of you, and it’s kind of nippy outside. And your sweaters are on the main shelves in the closet. 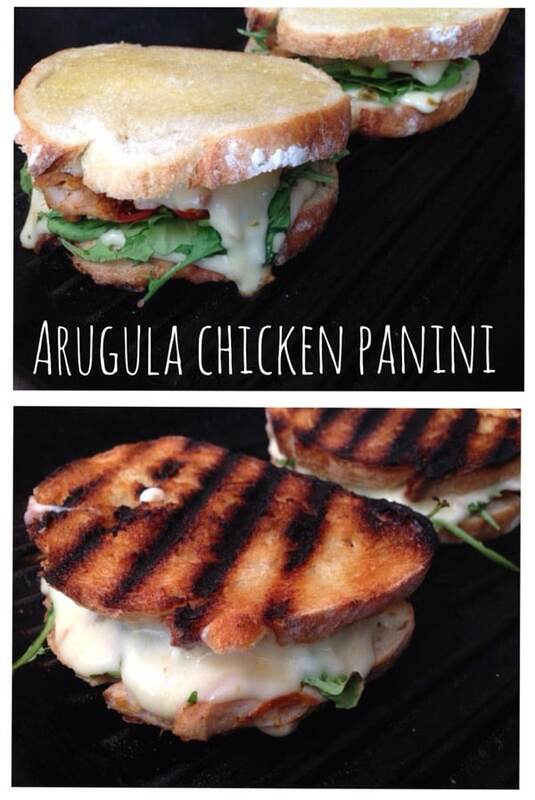 That’s the perfect time for panini, like today. 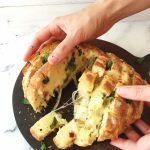 So dust off all your cast iron pans and pots (if you haven’t already) and let’s get to cooking the ultimate grilled cheese. 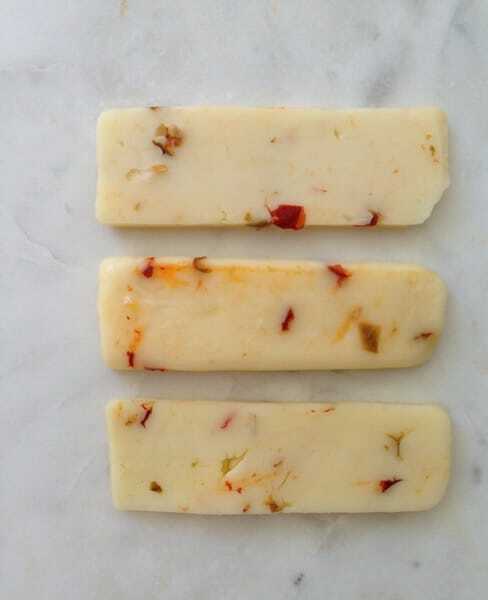 Fall is definitely here, even in Southern California, and I’m willing to bet you have some kind of nice melting sharp cheese lost in your refrigerator. 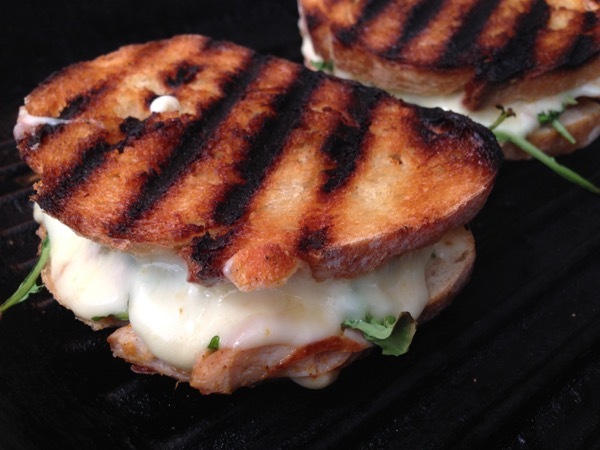 Who can really resist making a crispy gooey and easy chicken panini recipe ? 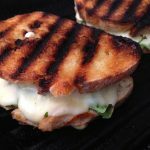 I used a pretty pepper-jack cheese for these panini, mainly because it looks so pretty (yes I’m clearly partial to beautiful foods ), and it definitely melts beautifully, plus it gives the whole sandwich a little kick. It just really works with all the other flavors. Preheat a cast iron grill pan on medium low flame. Butter the outside of each slice of bread with a thin layer of butter. Top the inside of each panino with half of the cheese, the arugula leaves, the chicken, broiled tomatoes, the remaining of the cheese and the bread. Press gently together for the filling to hold together a bit. Grill the panini for about 3 minutes on each side, loosely covered with aluminum foil; until golden brown and the cheese has melted. You can substitute fresh cherry tomatoes for the roasted tomatoes.